I am thinking of having/doing an Intranquility spell on a former best friend and ex I had a bad falling out with. Yes, I know it's bad... spare me the ethics things, please. I am thinking of having Lucky Mojo put stuff on their altar for me due to my lack of experience in spell work. Will this be any more or less effective then doing it myself? And would it be more powerful if I combined/had it combined it with a Return to Me spell? Is that any more or less effective then doing this myself? 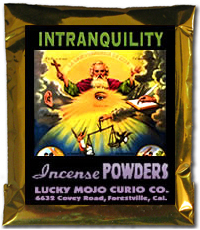 If you are relatively inexperienced with spell work, the candle ministry of the Missionary Independent Spiritual Church will likely be as good, or better, than what you might do for yourself with regard to burning Intranquility candles -- the Intranquil Spirit (which is the Spirit petitioned in Intranquility spell work) can be volatile and unpredictable, particularly if the worker is inexperienced. A Return to Me candle/spell generally does not make specific use of the Intranquil Spirit, and is, from that standpoint, more straight-forward, although the usual caveats for reconciliation work still apply. Either type of candle can be effectively handled by the MISC candle ministry; if you feel the need for more involved rootwork, beyond candle-burning, then you will likely need to do at least some of the work yourself, or find a competent professional to do the work on your behalf. When you burn the candle in the church, you get a report on its burning. I'm just curious but I wanted to know this: what if someone already performed an intranquility spell on their target but decided it would be best doing a different type of spell? What can this person do to undo the intranquility spell? Hello, I am doing an intranquility spell. Return to me oil, or Reconciliation Oil, or Follow Me Boy Oil. It is really hard to find intranquility supplies. Is there something I can substitute for them? I have concerns and many questions about working with the intranquil spirit. Forgive me if this is in the wrong forum,my mistake. I would like to know what type of spirit is the intranquil? How does he work? Why is that it is usually worked as a last result and is very effective? Is the intranquil a coercive spell? I have worked with the intranquil 7 day candle to bring my husband home, with great results! (He's back) but it seems he's very angry, and in a bad mood? It is starting to cause some issues. Does anyone know anything about the intranquil spirit? Thank you! I have concerns and many questions about working with the intranquil spirit. Forgive me if this is in the wrong forum, my mistake. I would like to know what type of spirit is the intranquil? Why is that it is usually worked as a last result and is very effective? Is the intranquil a coercive spell? What can you tell me about the intranquil spirit? Thank you! A spirit who wanders between Heaven and Hell and never reaches Heaven. How does the spirit work? The Intranquil Spirit torments and tortures your lover until he returns. Torture is usually the last resort of civilized people. It is also a very effective mans of coercion. I have worked with the intranquil 7 day candle to bring my husband home, with great results! (He's back) but it seems he's very angry, and in a bad mood. It is starting to cause some issues. Anyone who has been tortured by an Intranquil Spirit might be angry, don't you think? What can you tell me about the intranquil spirit? Intranquil Spirit makes people restless, short, angry, irritable, and scattered. Its great for making someone unhappy with a situation to the point where they leave and go wandering, but if they return to you then you need to start sweetening/love work and some cleansing work to get them back to "normal." Thanks for the input. I understand there are after effects, and I am seeing them now.What Bri said is true he is very irratable even when I am nice and loving and he is very short with me. I cant imagine why...? I suppose the honey jar I have going will help. I may get some soap to cleanse him with too. I did read the link that hail discordia gave and it was very interesting. (as is everything lm) I love this site. Thank you so much! That is the usual effect of intranquil spirit. The intranquil spirit is not a happy camper to begin with and it is a coercive spell. Your result is one of the reasons the spell is not recommended too often. I do recommend it for married people, because it is the most effective for them since they have legal ties to each other. In couples not married or legally bound, this spell usually makes things worse since the couple was already having problems. I would do some clean-up and spred some peaceful home around the home. I would burn a white candle dressed with Love Me, Stay with Me, and Follow Me Boy on the honey jar to calm things down. I would also say Psalms 41, 44, and 45 daily too. Has anyone tried the Intranquil spell? I was curious to kow the results..cause by reading on it, everyone has different results. Some say it does work and some say that they have done it a few times and still no results. So please do let me know, so I can try this Also, if I just wanted to use its sachet powder, do it use it the same as all other sachet powders, as explained under LM's "sachet powders" section? Hi I purchased a intranquil spell last month for my exboyfriend. Its been about 5wks since I used it with no sign of him. Since the spell I find myself thinking of him more often? I guess Im fine with knowing we wont be together again but why is he on my mind still? I get a strange feeling when I think of him thats hes thinking of me? Before finding your website for the spell kit I went to a botanical by me for a reading I was told that me and my exboyfriend would be reunited. I didnt believe the psychic because I never heard from him again. I dont know what to do? Any advice please. I started dating other guys but hes on my mind daily. I always felt a strong connection with him though such as we always text eachother at the same time it was actually scary. Thank you I love your products that Ive ordered and look forward to future purchases. Usually, thinking a spell to death affects the time it takes for the spell to start working. Keep yourself busy but it also helps to do more divination to see what is going on. Also, I know quite a few people have done the intranquil spirit spell, and they often feel the effects as well. Perhaps this is a sign, that what you are doing is working. I agee with MSG33. You are thinking the spell to death which effects the energy, and spell. I am not sure how long you are been broken up with this person, but I think it is important to realize that he is NOT going to come back within 3 days...he might not even come back in 3 weeks. Who cares when he comes back...as long as he comes back right? lastly, It is Mercury Retrograde. You can google that, and there is already a thread if you do not know what it is. But basically it affects communication, and things get delayed. He may very well be thinking about you and wanting to contact you, but he is delaying and may contact him eventually. If you dont see any movement in 3 months, either move on or do a different spell to get him back. Well, having him constantly on your mind seems can be an effect of your work and/or him thinking of you. If it is him thinking of you, it means you work is having effect but may need more work. Intranquitlity might be effective to stir his mind towards you, but consider using Bewitching Oil and Follow Me Boy to a honey jar with a pair of baptized loadstones cap and light candles on top or leave the top open and stick a red feather into it. Secondly, get yourself a set of Cut And Clear productsset a date tree months into the future and If he has not returned within three months, use it. Does the intranquil spirit help only with ex-lovers or can I ask it to help me with a guy I'm in love with but we've never been in a relationship? You can ask the Intranquil spirit for help, but he would not be your best choice if you want the guy to have a relationship with you. I like the Intranquil spirit for guys/girls who are in a committed relationship, but not taking the next step to marriage/legal bonds. In a case like yours, a honey jar would be a much better option for you. i am doing a honey jar and reconcile work but just in case later on i need to do an intranquility work, which i am hoping that i wont have to go that route and he will come back but if i do, is it possible that i can work on him when he is back so that he wouldnt be miserable? like using a honey jar on him again and then, love me, stay with me,etc? The intranquil spirit can be used in reconcilation spells. It can also be used if you want someone to be with you. These are based on my own experiences, and from other people I know that have successfully used the spirit. Sammy wel05 I am not sure what your question is asking, but if he comes back to you no need to do the intranquil spirit spell. The intranquil spirit is more so used to bring him back to you and make him miserable in the process. When he is already with you, you probably should do a stay with me spell, and fidelity. If you want something more forceful, I would do a binding spell to keep him with you forever. I hope I answered your questions. what i meant was, he will be miserable in the process but when he does come back, i dont want him to still be miserable and work on him wanting to be with me and staying, bind him. With intranquil spirit it is only that way until the person who left you comes back. I used this spell successfully (albeit in a different tradition) on my husband years ago when he left me and he said that he could not stop thinking of me and could not stand to be around other women and after a few months of trying to shut it out by drinking, overworking, etc, he called me and the curse was lifted when I accepted him back. I did not do any kind of binding (I've had terrible luck with bindings in the past - won't get into it here since it's off topic), but we have never split up again and he says he never would remembering "how awful it was last time." Bottom line - if done right, once the spell has delivered its results it will not continue. When you say did the spell in a "different tradition" how did you do it? He will only suffer and be miserable when he is NOT with you. If you read the intranquil spirit spell it is all about the person being miserable, and consumed with all these thoughts of you until they come back. With that said, he will not be miserable when he comes back to you. Also, you shouldn't give him a reason to be more miserable, and fix the problems in your relationship that caused you to fall apart in the first place. does it matter how long you are broke up with a person to use this spell, IE if its like 3 yrs later? Well the longer you've been apart the harder any kind of reconciliation,magical or other wise is. You can call down the intranquil spirit on him, but if you've been apart 3 years I would strongly suggest Cut and Clear work and moving on. its a question for a friend who wants an ex, i figured the same but i also dont know much about the spirit other then what i read on the LM site, was interested in his working lol.. Thanks! ^I would say it really depends on the circumstances,and whether or not you still have contact with the person. If you do not have contact with the person after 3 years, yes clear cut would be the answer. BUT if you are still friends, and you are in the same circle of friends, or same town even...then it is possible but it will take a lot of work. I wouldnt do the intranquil spirit spell. I think you should do a break up spell FIRST because if you do the intranquil spirit spell and the other person is still in the relationship with the other person....there might be a chance the person will be seeing you and the other person at the same time. May i know as compared between using menstration blood and this, which is more effective? No you may not. lol. I kid but its true,their isn't really one way or another that's more powerful, its more of what works for you and what you feel is right. I will say that using menstrual blood has a long and famed history all over the world. But its very different then works involving petitioning the intranquil spirit, those involve calling on a spirit,usually said to be wondering in hell, to come and bedevil and torment your partner, make them restless and miserable until they come crawling back to you. Stop teasing me HailDiscordia! Hahaha!! Anyway thanks for the advise. I have a better idea now. Is there a time frame in which one has to perform the intranquility spell? For example, if it's been 2 weeks since we broke up, can I do it 2 weeks from now? I ordered the intranquility spell kit and am waiting for it to arrive. As well in the meantime, is there another form of the intranquility spell that I can do while waiting for the kit to arrive? i don't know why you broke up, but if i was you i would do the honey jar. As theusurper says, honey jars are often a great first step for reconciliation work. With that said there are lots of quick tricks that you can do to create intranquility. You can: pray about it, write out a petition, write out a petition giving you dominance over the lover and wear it in your shoe, carve a candle with the names of the people you want to have intranquil, pray over them, and light them. I will carve the candle. The prayer over it, is that the intranquility one or something else. Sorry about all the questions. I will try the honey jar spell as well. I have done it twice and I haven't seen any results, but then again mine is a difficult case. It has been about 5-6 months since my first Intran spell and about 3-4 months from my second one. So I hope you get results quicker than myself. I haven't used Intranquility, does it maybe depend on how stubborn the target is? You know it just might. I mean I have a really bad situation where things ended in such a bad way, so it's taking time for things to come around. I'm getting a reading because i need to figure out what do I need to do to possibly get things to go my way. I did it twice because I thought that I did it wrong, so I wanted to do it again to make sure. Heads up if you do that one be prepared to relight it. The pink candle don't stay lit for some strange reason so by either a spool of wick string or tea light candles because you are gonna have to place a new wick by the old wick to assist the old wick I had to assist about 4 times before the candle finally burned on it's own. I didn't know that first time, so I wasn't confident with the spell, but second time around I was already aware of the problem so I was better prepared for it and more confident. It is reasonable to look for signs of progress in 3 days, 3 weeks, and 3 months. 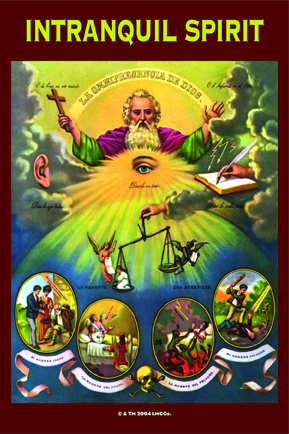 Indeed, it is entirely reasonable to build those checkpoints into the spell work, asking for clear, understandable signs as to the progress and likely outcome of the work at specified intervals, and then pay attention to the signs and coincidences that emerge at those pre-specified check-in points. 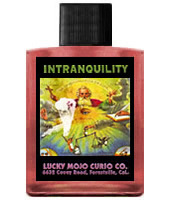 That said, the Intranquil Spirit is highly volatile and unpredictable in its action. If you haven't seen movement in the case after months have gone by, it may be time to either do the work again, or try a different course of action / type of spellwork. I have done the intranquility twice and there is no way that I can bury more remains, so if I had the church do it would it still be affective because after all I would think a spell like that should be done by me right? Missionary Independent Spiritual Church does not do spell kits. You can buy the kit yourself and work it, you can hire a rootworker to do it for you, or you can have an Intranquility (or any other kind of vigil light) lit for you at Missionary Independet Spiritual Church. They bless and dress your light and send you a report telling you how it burned--it is a wonderful Church and a wonderful service that they offer. I know that I am a person that likes to do things according to the moon phase because I feel it's like a little extra juice that helps my spell. I'm a person that likes to get every little help that I can get. But that's just me. There are a few different ways of working with timing in hoodoo. As Tabby notes, phases of the moon is one. Two other common ways are working according to the days of the week (each day has a set list of conditions that can be most effectively addressed that day,) and doing work during times both hands of an old-fashioned analog clock are moving upwards. From what I've read, however, both on the LM site and from the rootworkers here if your need is immediate you can work the spell whenever, but if you can wait, it's best to do the work according to the moon. So it's not a matter of absolutely HAVE to.